27-year-old Hanuman Chaudhary, from Nagpur district of Rajasthan, India, was working as a manager at a resort on the Gold Coast in Australia. He was earning 330000 USD a year in Australia. One fine day, he received a phone call from his father, and that changed his life forever. Mr. Chaudhary's father Bhura Ram had to call him back as a result of a controversial government order that set educational prerequisites for contesting village elections. According to the rules set by the government candidates contesting the elections must have studied up to 8 standard, and members of the Panchayat Samiti, which governs a group of villages, to have completed Class 10. Which made about 90% of the villagers ineligible for contesting elections. Most elderly in the village studied just up to fifth. 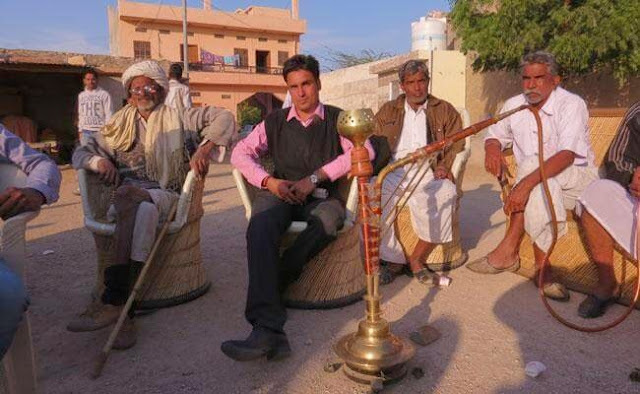 Chaudhary chose to return to his village and its villagers to serve his purpose. He soon began engaging in door to door campaigning, ignoring caste issues, which are dominant in the state. Soon he won the election with a record 6000 votes. "After Class 8 minimum qualification rule, the people of the village contacted me. I asked my brother, he said if you want to do social work you can come back. He supported me fully so I came here and won the election with a good margin" Chaudhary said.